← Obamacare update. Champion News Talk Radio on AM560 The Answer. Illinois begins audits and cuts to Medicaid. Rationing of care begins. On July 7, 2012 the Illinois Tea Party broke down the ‘good’ and ‘bad’ parts of SB2840 and it’s amendments as well as HB5007. Together, these two pieces of legislation comprise what Governor Quinn refers to as ‘Medicaid Reform’. Whilst there was and still is genuine concern over the fiscal impact of Illinois expanding Medicaid nearly 2 years before the rest of the country. There was some good in HB5007. Specifically, the implementation of what most other state Medicaid programs already had in place for years. Namely, a TPA – Third Party Administrator. 3.) Making the same income they were when they first qualified. If their income levels have increased rendering them no longer eligible, they are to be purged from our Medicaid rolls. Since Julie Hamos – Illinois Department of Healthcare and Family Services chief – is quoted in the article as ‘doesn’t yet know‘. The Illinois Tea Party would like to clear up this mystery for her. During Democrat Governor Rod Blagojevich’s Governorship, our Illinois Medicaid program was expanded illegally without legislative approval. Adding to the rapid bankruptcy of our Illinois Medicaid program was the fact that under Blago’s Governorship, legal residency status was not required on the Illinois’ “All Kids Covered” Medicaid application. Understand that when we use the term legal residency we are referring to U.S. citizenship. It took an investigation conducted by former Chicago Tribune reporter Dennis Byrne to determine just how many illegal immigrants were enrolled on our “All Kids Covered” program. The shocking answer was 75%. Whilst the Illinois legislature is to be commended for finally implementing a TPA. They are still ignoring one of the largest drains on our Illinois Medicaid program. One that is a clear violation of Federal law. Namely, the 77,000 illegal immigrants who are still enrolled on our Medicaid program. None of which will be removed under Quinn’s ‘Medicaid Reform’ bill or any other legislation proposed. According to Kaiser Health News the cost to cover just emergency treatment – much of it related to delivering babies – for more than 100,000 illegal immigrants is a $2 billion drain on the federal Medicaid program annually. This being the case, one must ask. Why is there not a number 4 question added to the above TPA discovery process which asks: Are you a U.S. citizen? By allowing thousands of illegal immigrants to stay on Illinois Medicaid program, lawmakers are disenfranchising Illinois residents who are not only legal U.S. citizens but are also medically fragile children. Part of Governor Quinn’s aforementioned ‘Medicaid Reform’ bill was $1.6 billion of top down, authoritative, across the board Medicaid cuts. $15 million of which pertain to medically fragile and technology-dependent children. Equally disruptive and cold-hearted is the fact that Senate Bill 2840 eliminated Illinois’ Cares Rx program, which provides prescription drug coverage for 180,000 fixed and low income Illinois seniors. Seniors on fixed incomes of less than $16,000 have now lost their drug coverage. Community care and in-home care programs also faced severe cuts, resulting in the loss of services for thousands of seniors across the state. There is a word that properly defines this type of top down, authoritative, across the board cuts – rationing. And it’s about to get much, much worse. Since 2000, Illinois Medicaid rolls have doubled, from fewer than 1.4 million people to nearly 2.8 million, or more than 1 in 5 Illinoisans. Starting in 2014, the President’s health care law is about to exacerbate this problem exponentially. 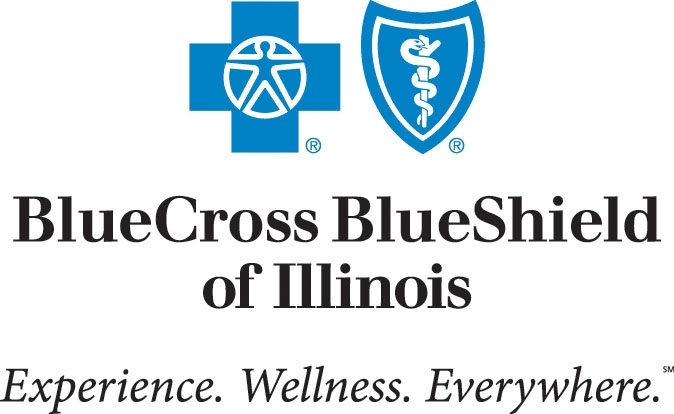 According to various estimates, from 500,000 to more than 900,000 more Illinois residents will qualify for Medicaid when the PPACA (Obamacare) Medicaid expansion takes effect in 2014. This is because the PPACA expands Medicaid to childless adults for the first time ever. There are more than 15.1 million childless adults in the U.S. who will now be eligible for Medicaid. The PPACA also mandates that another 9 million Americans who already qualify for Medicaid but never enrolled do so beginning in 2014. The ‘silver lining’ in Chief Justice John Roberts historic ruling on the PPACA last year was that states were now given the option to expand Medicaid. Since then many states have run the numbers and decided against expanding Medicaid. In contrast, Governor Quinn is moving ‘forward’ with Medicaid expansion with Senate Bill 26 which will voluntarily expand Illinois’ Medicaid program to nearly 350,000 additional individuals, who are between the ages of 19 and 64 with incomes under 138% of the Federal Poverty Level. The Dept. of Healthcare and Family Services (HFS) states the cumulative cost of this expansion could exceed $2.9 billion by 2020. The Kaiser Commission on Medicaid and the Uninsured estimates a similar number of $2.4 billion by 2020. Worse yet, our Illinois Medicaid program already has unpaid bills piling up after lawmakers enacted a budget pushing $2.4 Billion of 2011’s bills into 2012. As they have been doing repeatedly for years now. In fact, on January 30, 2012, the Civic Federation released its “Budget Roadmap” for fiscal year 2012. In it, they highlight the fact that state officials now believe the Illinois Medicaid program will have between $21 and $23 billion in unpaid bills by 2017. Purging illegal immigrants from our Illinois Medicaid rolls and implementing real reforms such as those proposed by the Illinois Policy Institute will save Illinois’ billions and insure that Illinois’ truly indigent and those with special needs are cared for. Until such reforms are implemented, Illinois Medicaid patients will continue to suffer from low reimbursement rates and long payment delays. Nursing homes and hospitals will continue to run out of money while they wait for reimbursement. And, doctors will continue to turn away poor patients and those with special needs.